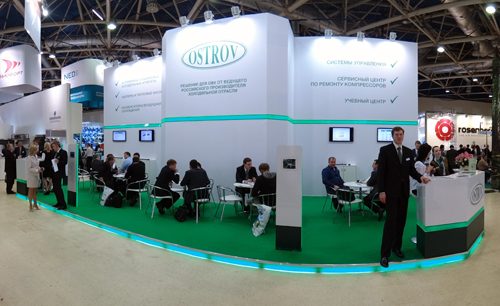 Ostrov Company will take part in the 10th International Specialized Exhibition “Climate World - 2014” dedicated to air conditioning equipment as well as industrial and commercial refrigeration (HVAC&R). The exhibition will be held in March 11 – 14, at Expocentre (Krasnopresnenskaya naberezhnaya, 14, Moscow, Vystavochnaya metro station). Contacts and the map. The company will show its new products in the area of refrigeration equipment including unit coolers and condensing units with housings. The services of Service Centre Ostrov will also be presented. We invite you to visit our stand 2С1101 situated in Pavilion 2, Hall 3.